This electic, electric guitar was hand sculpted for a rockin’ two-year-old. 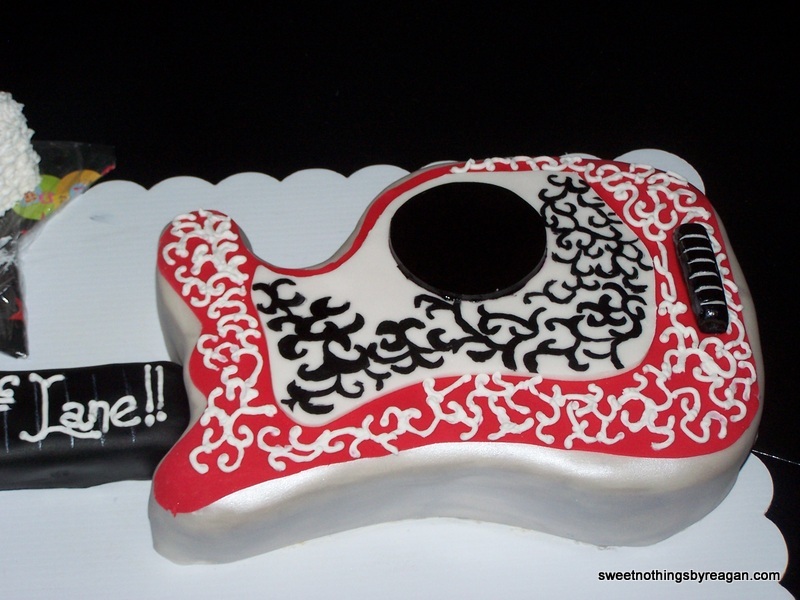 The body of the guitar is cakecovered in fondant and painted with pearl shimmer. The neck is cereal treats covered in fondant. A combination of hand-painting and piping create the details. 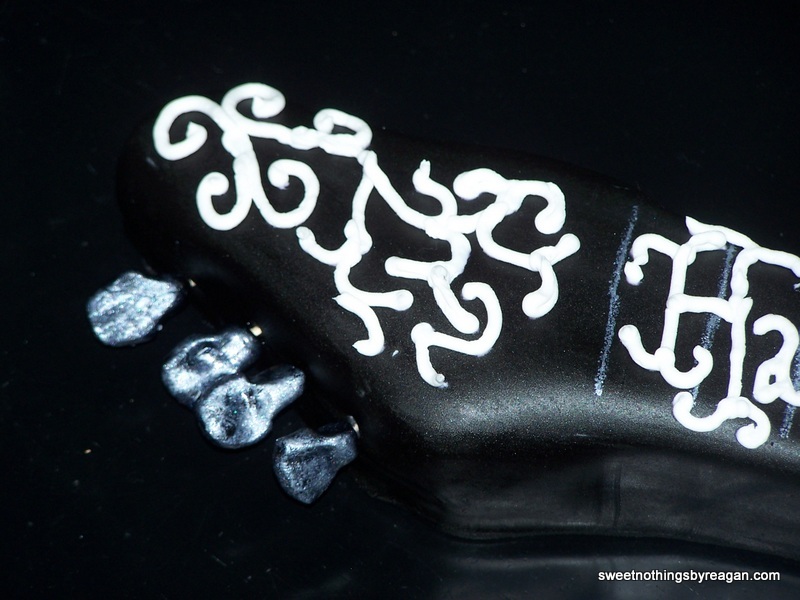 The tuner pegs are hand-molded fondant painted silver. 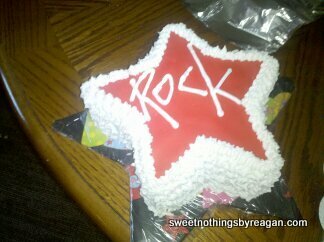 The star-shaped smash cake is covered in buttercream to ensure a great time smashing into it. 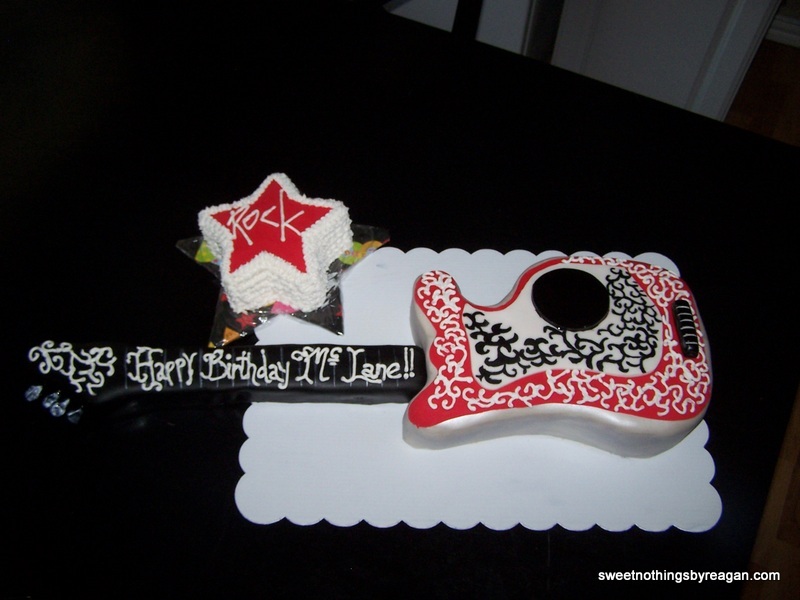 Posted in UncategorizedTagged birthday, boy, cake, electric guitar, fondant, guitar, hand painted, music, rock and roll, rock n roll, sculpted cake, smash cakeBookmark the permalink.